The demand for High Speed broadband internet access is growing rapidly throughout all our service areas. 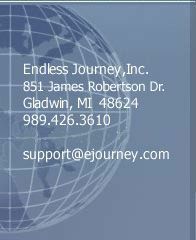 Utilizing multiple technologies our High Speed Wireless Internet Service is available for either Home or Business/Corporate use within the service coverage area. Our wireless system is not completely wire-free. But is wire-free in the sense that your connection to the Internet is provided by a radio and antenna system. NOT Satellite, but a ground based tower transmitting the signal your computer receives. There is some minor wiring on the premise to connect your computer(s) to the wireless radio. All equipment installed outside the premise is leased to the customer on a monthly basis. The budget surfer package is for those that only need up to 25x the speed of Dialup. Tired of waiting for graphics to load on web pages? Well, wait no more! Our Budget Surfer runs about twice the speed of the average DSL service. This plan is perfect for everyday surfing. Online shopping, Research, and Homework can be done in a fraction of the time required with dialup internet. This package combines low cost with the High Speed you need. The Web Surfer package has the horsepower to make the big jobs move right along and still come in under budget. You will no longer have to miss out on pictures of the grandkids or those funny videos your buddies always send you. The Web Surfer package allows you to send and receive large emails with ease. The Power User plan combines the high speed and low latency required for the most challenging games or the toughest workload. Perfect for gamers who take their fraggin' serious! This plan is the Power User plan on Steroids! Increasing the Power User plan's Download speed by 3000 kbps*, and the Upload speed by 512 kbps*. We have our professional installers come to your location and install everything required to service a single PC. Our installer will then configure your PC to work with our network. This option includes the radio, antenna, roof-top tri-pod, 10' antenna mast, wired router and up to 75 feet of cable, and the power supply for the radio. This option also includes the service guarantee so that if any connectivity problems arise from the install, we will fix it, free of charge. We have our professional installers come to your location and install everything required to service up to five (5) PC's or a router. 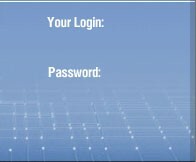 Our installer will then configure the router and PC's. This option includes the radio, antenna, roof-top tri-pod, 10' antenna mast, wired router and up to 75 feet of cable, and the power supply for the radio. This option also includes the service guarantee so that if any connectivity problems arise from the install, we will fix it, free of charge. Additional charges may be imposed for special circumstances. You will be notified of any special needs or requirements prior to actual install and my be required to sign additional paperwork stating that you have been made aware of these requirements and any additional charges that may apply. There is a minimum charge of $75.00/hour for any additional service provided unless otherwise noted. * This is a maximum data transfer rate; Actual data rates will vary from site to site and at different times of the day. Acts of GOD, including but not limited to, lightning, snow & ice can effect signal strength and reception. Endless Journey is NOT responsible for service interruption due to acts of GOD. Other plans are available. Above hardware packages are for a typical installation. Additional equipment may be necessary to complete the connection at additional cost. Equipment packages may vary from descriptions stated above. Package availability subject to geographical location and tower capacity. 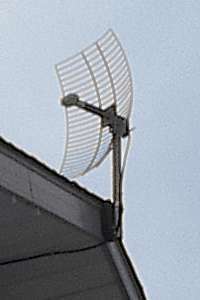 **Wireless antennas MAY be mounted on an existing antenna pole or tower. However, if it cannot share the same mounting pole you may need to get a pole, mounting brackets and other equipment which is not included in the above price. (Poor signal quality in that location, or if your current antenna pole has a rotator or is not high enough, may be reasons you may not be able to share your existing pole). *** All Prepayments are a contract for the time period you are paying for and are non-refundable. ****Lease payment ($15.00) per month billed for equipment if service is placed on vacation.